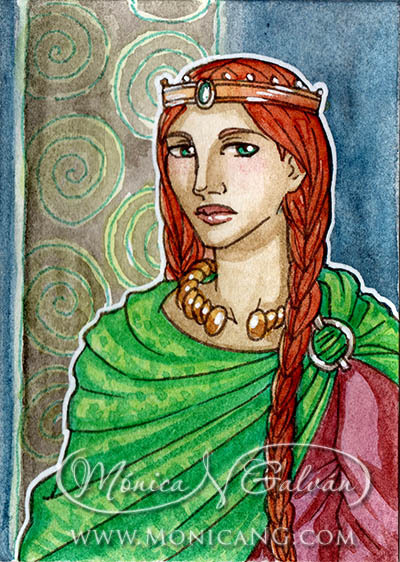 ACEO sized watercolour of a classical celtic queen. Jenny Heidewald says: Beautiful, I love your use of colors! ~ Reply? Julie Rabischung says: Beautiful !! love her jewels and her fiery red hair ! 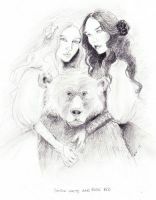 Thank you for choosing my prompt Monica :)	~ Reply?